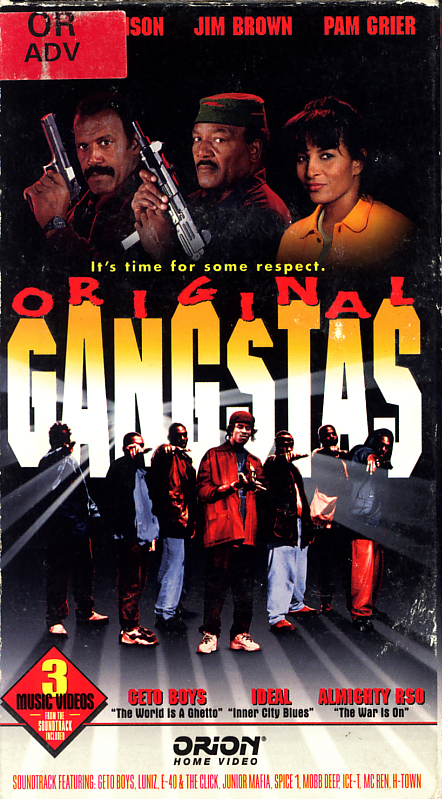 Original Gangstas on VHS. Starring Fred Williamson, Jim Brown, Pam Grier. 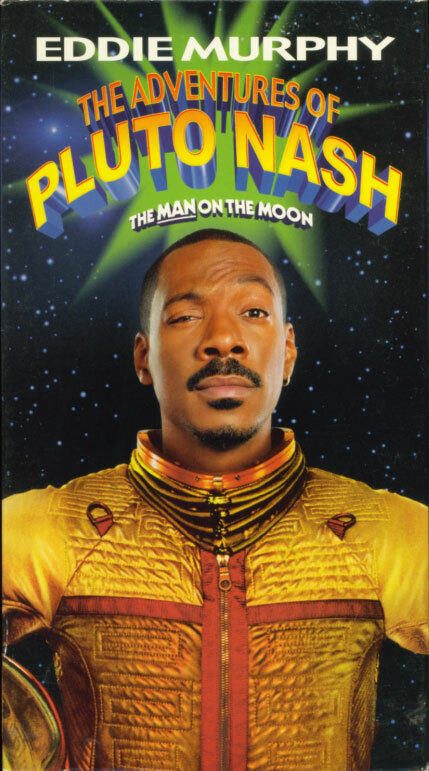 With Paul Winfield, Isabel Sanford, Ron O’Neal, Richard Roundtree, Christopher B. Duncan, Dru Down, Shyheim Franklin. Directed by Larry Cohen, Fred Williamson. 1996. It’s time for some respect. It’s one reunion you don’t want to miss. The top stars of ’70s Black Action films — Fred Williamson, Jim Brown, Pam Grier, Richard Roundtree and Ron O’Neal — take on the hottest new stars on the ’90s as explosive action rips the mean streets of Gary, Indiana. Thirty years ago five friends formed a street gang, the Rebels. But the Rebels — and the rules — have changed. Instead of rocks and bottles, today the gang uses automatic weapons. Now one drive-by killing too many has reunited the original Rebels. But it’s going to take the support of the entire community and one final showdown to reclaim the streets and show today’s Rebels who the real “Original Gangstas” are. Co-starring Paul Winfield, Isabel Sanford, Christopher B. Duncan and rappers Dru Down, Shyheim, “Original Gangstas” features the year’s hottest rap/R&B soundtrack with music by Luniz, Ice-T, MC REN, the Geto Boys and more. Coffy on VHS. Starring Pam Grier. With Booker Bradshaw, Robert DoQui, William Elliot, Allan Arbus, Sid Haig. Written and directed by Jack Hill. 1973. Grier is Coffy, nurse by day and avenging angel by night. When she discovers that her little sister has been doped up — and freaked out — by a greedy drug pusher, she not only puts an end to his miserable days, but she also vows to follow his trail of corruption up to the top — the very top. But what Coffy doesn’t realize is that all is not as it seems… and that the leafy green behind the pusher’s scene just may come from someone she knows!